The old Mission: Impossible TV series, secret agents received their missions via recordings that would self-destruct shortly after receipt. It was an effective method of keeping those secret missions private – as far as we know, the baddies never got ahold of any mission tapes, allowing the agents to successfully carry out their campaigns against evil. These days, data is shared far more frequently and in so many ways it’s kind of mind-blowing. Even sensitive digital information is vulnerable to hackers, disgruntled employees, and the general public in some unintentional cases. Artist Diego Trujillo Pisanty has created an art piece that takes us back to a simpler time when data breaches were far less common because hard copies of documents are so much harder to steal than digital copies. 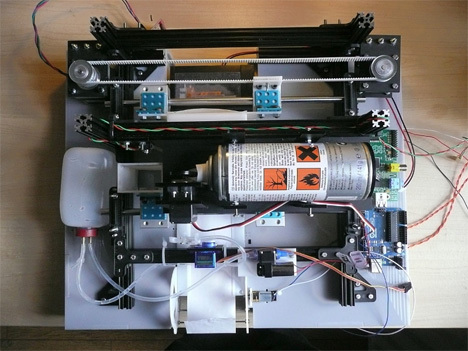 This Tape Will Self Destruct is a small printer that perfectly mixes the past and the present. It prints fictional Cold War images and texts with excerpts of actual NSA documents brought into the public eye by Edward Snowden. 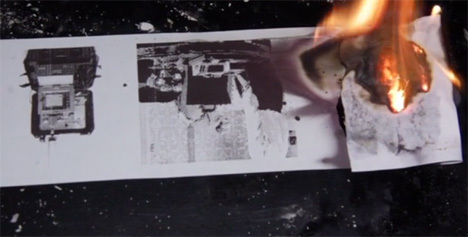 Shortly after the printer spits out its meaningless message, the paper self-ignites and fire consumes the printout, permanently erasing its information. The project is an insightful exploration of the relationship we have with secrecy and data sharing. We expect to be informed at all times, but government agencies argue that some secrecy is necessary for national security. This little printer hearkens back to the pre-digital age when having information meant having a piece of paper in your hands or a memory in your mind rather than words on a screen or hard drive.